For vegans, finding no egg pasta is essential. Vegans eat no animal products whatsoever. Thankfully, there are many recipes to help. Does all Pasta Contain Eggs? According to the National Pasta Association, not all pasta contains eggs. You can find no egg pasta by reading the manufacturer's ingredients on the box. The FDA requires food manufacturers to list all ingredients on packaging so check that first. For pasta to be an "egg" pasta, it must contain at little over five-percent of egg weight to be deemed an egg noodle pasta. 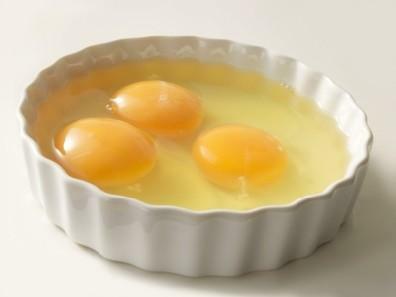 Eggs and egg yolks in pasta have long been a debate, especially when it comes to our health and cholesterol levels. Beyond that, vegetarians who choose to skip eggs in their diet may be confused of late, especially when it comes to advertisements. Many pasta manufacturers claim their wheat and other grain pastas are your best choice when choosing pasta. While this may be true, some of these whole-grain pastas do contain eggs. Before you choose any type of pasta that has won you over by a great advertisement, read the label first. You can make fresh no egg pasta right at home and it's easy to do. VegeYum, offers a great no egg pasta recipe that uses semolina flour, regular flour, olive oil, and water. This recipe can be used in both a pasta machine or the hand-rolled and hand-cut methods. Looking for some no egg veggie pasta? Food.com offers a great gluten-free pasta. To make this recipe with no eggs, simply use olive oil instead of egg whites for a great tasting pasta and serve with your favorite sauce or cheese. Many types of oriental pasta and noodles contain no egg, but some do. Many of their pastas and noodle-type pasts are made from wheat flour and durum semolina. Others use rice flour, beans, tofu, and even nuts to make pasta. Asian pastas are also famous for adding vegetable juices to their pasta before drying and shipping to market. Check you local Asian supermarket and read the ingredients to find great no egg pasta from Korea, Thailand, Indonesia, Vietnam and the Philippines. Many websites like Mercy for Animals provides great information for vegans and vegetarians who want to steer clear of eggs and foods made with eggs. Restaurants like The Vegetarian House skip the eggs in most of their recipes. As with other vegetarian restaurants, they offer a wide selection of foods and no egg pastas from around the world. For cookbooks, try Maureen Inwood's No Egg Collection to find tasty and tempting no egg pasta and other recipes. Skipping the egg in your diet doesn't mean your taste buds have to suffer. Look for no egg pastas in your supermarket, at Asian supermarkets, try a egg-less pasta recipe or visit a vegetarian restaurant that specializes in foregoing the egg. Finding, preparing, and eating delicious pastas with no egg is easier than you think!